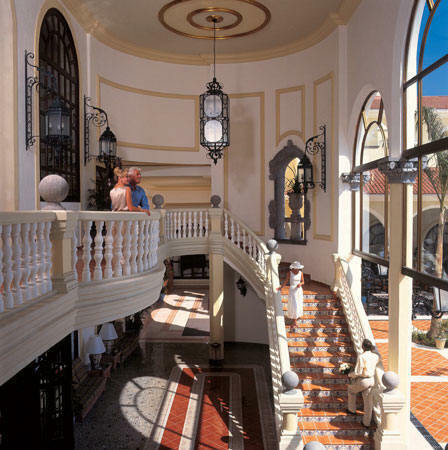 The hotel offers an exquisite selection of à la carte restaurants and spectacular buffets, complemented by continental breakfast room service and 24-hour All Inclusive (snacks and beverages). 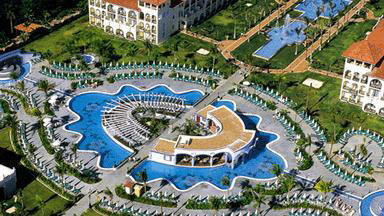 Our exchange privileges program allows access to all other sister properties in the Riu Resort complex. 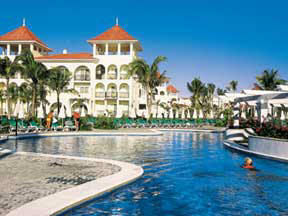 The Riu Palace is the ideal choice for a superbly luxurious and relaxing vacation! All of the Deluxe and spacious guestrooms (mostly split-level) are beautifully decorated in rich wood and granite rose tile, each offering a sitting area with mini-fridge and bar. All Inclusive by Riu means enjoying your vacations freely without limits, without worries, and taking time to relax. Choose freely of what our resorts have to offer, taste the finest cuisine, drinks, and enjoy sports, shows and entertainment. 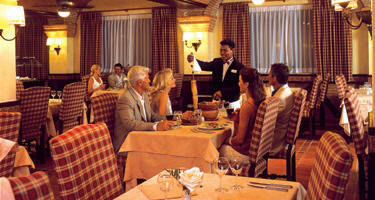 All Inc lusive by Riu means the privilege of taking full advantage of our services and everything around you. Here you can soak up the sun playing water polo or snorkeling, go kayaking, or challenge your companion to a tennis match. For the more adventurous, go sailing or scuba diving on the Great Mayan Reef located less than 100 meters away from the beach. Diving in the cenotes is another great experience guest can explore. There are unlimited possibilities of fun things to do. There are two magnificent freshwater swimming pools with lounge chairs, sun umbrellas and towel service, the main pool area has a fantastic Swim-Up Bar, a separate children`s pool and swim-up aquatic bar. There are SCUBA demonstrations in the hotel pool. Plan your own schedule with our 24-hours a day all inclusive service. 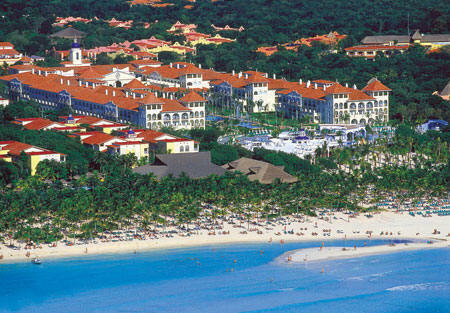 With five restaurants, six bars, and access to all Riu restaurants and bars in the Playacar area, you will find something to satisfy your every wish, at any time. 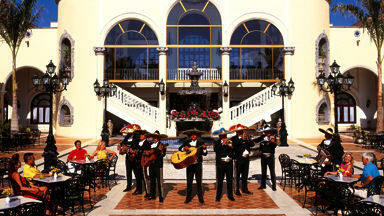 El Patio - A Mexican beach restaurant open for lunch, serving hors d`oeuvres from 4 pm to 6 pm. 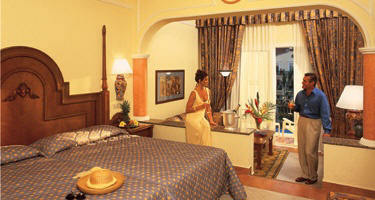 * Honeymoon guests will receive a fruit basket and a surprise gift in their room upon arrival.